Waterite Inc. is a Canadian manufacturing and distribution company which specializes in products for the water treatment, conditioning and purification industry. The head office and central distribution centre is located in Winnipeg, Manitoba with Canadian warehouses in Langley BC, Barrie ON and Montreal QC. Waterite carries a number of well-known water treatment products such as Pentair / Pentek Autotrol control valves, Fleck Control Valves and Pentek filters. 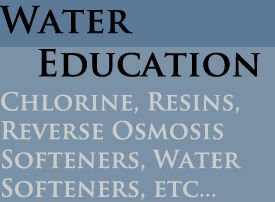 Waterite is also responsible for manufacturing it's own line of water treatment products and purification systems. Waterite Technologies manufactures and distributes the Fusion 2 Water Softeners and Backwashing Filters, Vectapure NX Reverse Osmosis Systems, Vectapure V360 Quick Change RO Systems, Vectamax Commercial Reverse Osmosis Systems, Excelpure and Excelplus filter cartridges, Excelight Ultraviolet Disinfection Systems, Excelclear ion exchange resins, Centurion Granular Activated Carbon, Black Max Reverse Osmosis Membrane Element and several other water purification products. Purifiner is a Canadian based manufacturer and distributor of water treatment and water conditioning products. The company is located in Markham, Ontario and offers over 50 years of experience in the water treatment industry. The Purifiner office is outfitted with a complex lab equipped for water testing. The labratory is able to provide an in-depth analysis of water samples with tests ranging from precise Hardness tests, Total Disolved Solids to testing for Nitrates, Chlorides and much more. Purifiner offers the unique and durable Erie control valves for water softeners and back-washing filters. The Erie control valves have been well-established in the water treatment industry as they provide quality, durability and an economical solution the water treatment needs of the consumers.